Consequently, we have aimed at forming a holistic overview of the Swedish fintech landscape, looking at challenges and opportunities from different perspectives by attending fintech events, meeting with Swedish fintech players and by initiating a dialogue with the Swedish FinTech Association, the Swedish FSA, and venture capital firms. In doing so we are able to pinpoint the industry needs and act as a trusted advisory partner and offer relevant services to the actors involved. 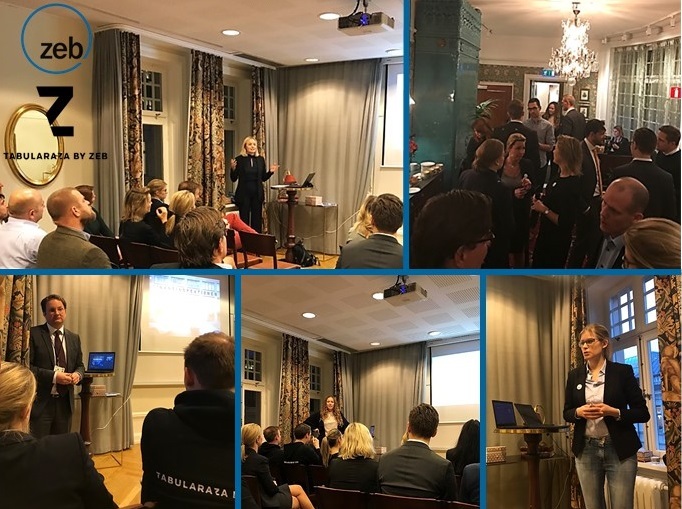 We also had the pleasure of hosting our first zeb.fintech event at Hotel Kung Carl in Stockholm on December 5th. The purpose of the forum was to spark a dialogue and to get familiar with the view of relevant players of the Swedish fintech arena. We believe that a continuous dialogue and broadened cooperation is of paramount importance to create a well-functioning climate for fintech companies. It is also an essential part in turning the prevailing and future challenges into opportunities, thereby generating value for all parties involved. This was our intention and idea for this event. Jonas Schödin, Partner at zeb Nordics, kicked off the event by presenting zeb Nordics, what we can offer fintech companies in terms of advisory services, license application, interpreting and implementing regulations etc. and thus how zeb Nordics can assist in turning challenges into opportunities. Jonas also mentioned our Regulatory Hub, which is a database covering and gathering all prevailing and future regulations in one spot—a solution that has not been seen so far in the market. Fintech companies are welcome to sign up for a fair and minor monthly or yearly fee to take part in the solution. zeb’s own digital lab, TABULARAZA by zeb, based in Hamburg, presented its initiative and how it is contributing to collaboration between fintech companies, banks and investors by introducing a physical space where all these actors can meet, share their experience and thoughts in order to create value for all. This, along with a highly relevant service offering on the topics of digitalization and transformation. Stig Johansson, responsible for the fintech initiative at the Swedish FSA, talked about the challenges they are facing and how they have successfully been opening up a dialogue through round table discussions with relevant fintech companies in Stockholm. In doing so, they want to improve communication regarding regulatory challenges, promote collaboration and innovation, while still protecting a sound financial system with a strong consumer protection. 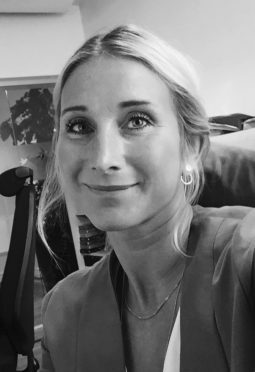 The CEO and co-founder of Toborrow, Sofie Lundström, discussed the path of the company to this day. This included the challenges of applying for license (the correct one), keeping up with innovative business, finding sufficient capital to enable hiring competent expensive staff and how teaming up with a bank can make things happen. Cecilia Seddigh, the co-founder of Sparplatsen, presented the view and challenges with respect to insuretech companies and robo advisory services, how Sweden is lagging behind in this specific area and how earning revenue is a battle considering low margins. 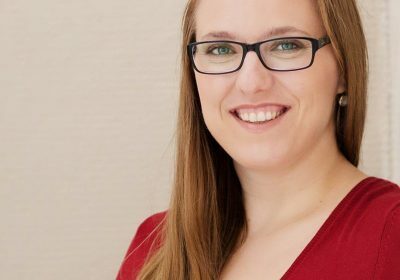 Cecilia stated that the “survival of the fittest” is the name of the game and that partnership with insurance companies, or being acquired by the same, is the future. The latter was the case for Sparplatsen which was acquired by Movestic Life & Pension, a subsidiary to Chesnara Plc, only a few weeks prior to the event. 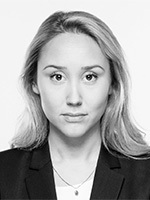 The final speaker was the General Secretary of the Swedish FinTech Association Stina Wernersson, who concluded the presentation session by explaining how they are contributing to a well-functioning arena for fintech companies. The association serves for gathering questions and forming an opinion with regard to regulations and other challenges faced and raised by fintech companies as well as by all members of the association (incl. VC companies, consultants). Further, by enlightening these questions towards authorities, such as the Swedish FSA and the Swedish government, the association is opening up for a dialogue, raising a political opinion and in the end achieving a consensus and justification on behalf of the association. The event wrapped up with a mingle and a lot of interesting discussions with and between our guests and we truly believe that our idea and intention with the event was well accomplished. We would like to thank all participants for attending, sharing your insights and contributing immensely to make our event such a success. We are looking forward to hosting our next event in the near future and hope to see you there!